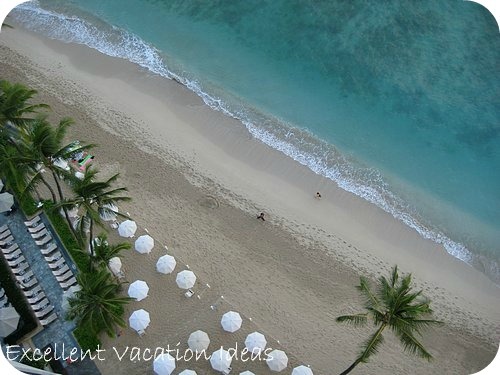 The Moana Surfrider Hotel, located on Waikiki Beach, is a landmark resort in Hawaii. 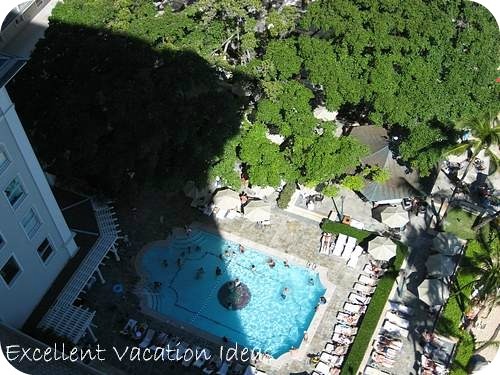 Formerly run by the Sheraton, this property is known as the "First Lady of Waikiki". The Moana is a great blend of history and luxury. Built on the oceanfront in 1901, she is a majestic property with lots of charm and history. This Westin Hotel is part of the Starwood family and is run as a Westin property. 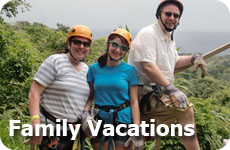 For a romantic vacation, family vacation, or a Hawaii honeymoon it is one of our favorite vacation ideas! The resort is luxurious and we really enjoyed our stay. It is central to most in Waikiki and you can only really compare it to the Royal Hawaiian Hotel (another Starwood Property). 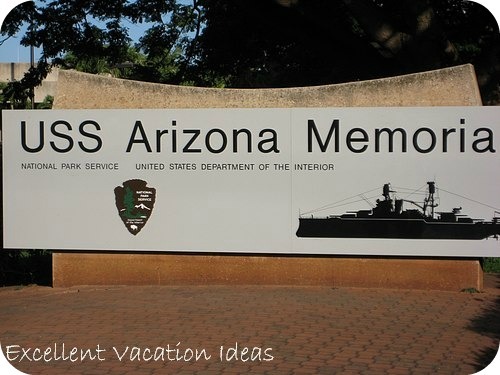 To see our experience click here. If you have comments or would like to share your experience of the Moana Surfrider, please share it on our Hawaii Vacations page. 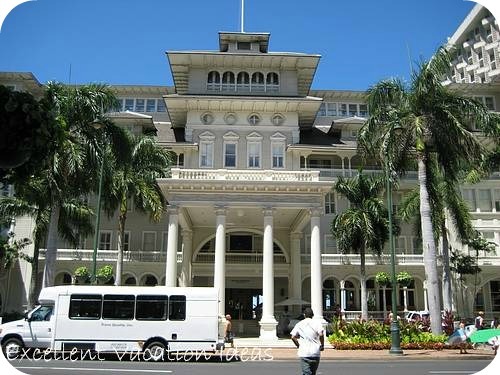 Formerly the Sheraton Moana Surfrider, Starwood Hotels & Resorts converted it to the first Westin Property on Oahu. 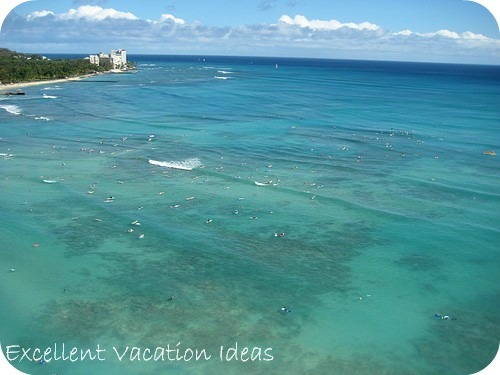 It is the flagship property on the world's most famous beach - Waikiki. The transformation began June 1, 2007 and will be completed with in mid 2008 with Waikiki's first beachfront spa - The Moana Lani Spa - including 14 treatment rooms and a Reebok fitness facility. You will also find the Westin's famous signature Service Express program, the Westin Kids Discovery Club and the Heavenly Beds! The beautiful Banyan Courtyard houses restaurants, and the beachfront pool. The charming and beautiful lobby invites you in with it's elegance and the verandah with rocking chairs is a great place to watch the world go by and rock away your worries. With 4 wings, there are many options to choose from for accommodation, the Victorian Building, the Diamond Wing, the Banyan Wing and the Tower. The best way to describe the Moana Surfrider, is a piece of history with old world elegance and many of the modern Westin amenities. The property has a private section of the beach, with umbrellas and beach chairs. The area is roped off with a chain to show guests and beachcombers where the boundaries are. The location on the beach is quite central. A short walk will take you to where the surf instructors hang out, or on some days you can watch the latest surfing competition. There are many different activities available on the beach (you can take a lesson or rent equipment every day) - from boogie boarding, paddle boarding and surfing to taking a sunset cruise on a catamaran. You can even take a traditional outrigger canoe out for a ride. You may even see a turtle or dolphin from the beach and if you are lucky, from late January to late April you may even spot a Humpback whale. To reserve a beach or pool chair and umbrella you have to reserve the day before you would like it by 1 pm, and claim it by 9 am. If you leave for 1.5 hours you could lose your chairs. Some say to tip when you are being shown to your chairs and umbrella - it may get you a better view etc. If you prefer the pool, there is a small pool situated in the Banyan Court, right by the beach. 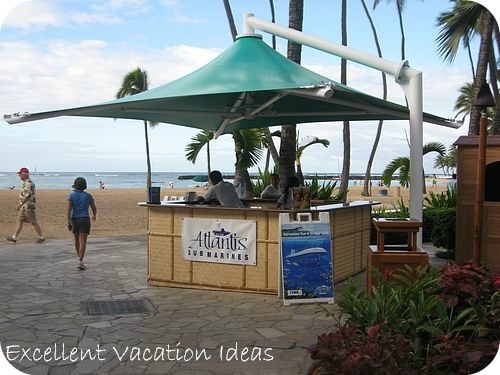 When you get a little hungry or thirsty, the Beach Bar and Snack Bar are right there. Towels are provided for hotel guests at the Towel Hut (where you reserve your chairs. Hours of Operation are 7:00 am to 6:00 pm all year round. Check out our Video of Sunrise - Great Views of Waikiki Beach. Find the best deal, compare prices, and read what other travelers have to say at TripAdvisor about this hotel.